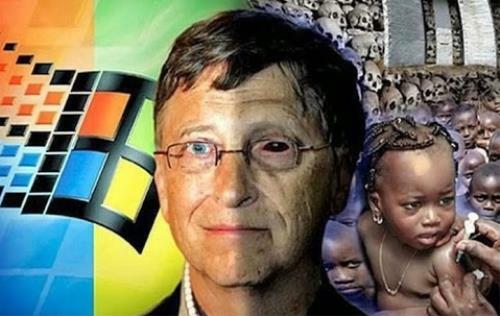 Bill Gates: Philanthropist Or Financier Of Genocide? Microsoft Co-Founder Bill Gates is one of the richest men in the world. After his retirement from Microsoft he devoted himself full time to the Bill & Melinda Gates Foundation. 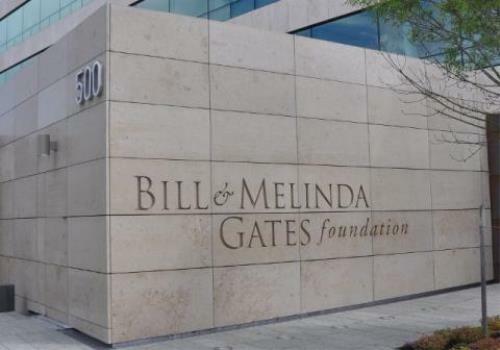 The goal of the foundation is to better the world via Global Health and Global Development programs, sounds quite nice on the surface and after reading the propaganda on their website it makes Bill look like Jesus Christ, Gandhi and MLK combined. Eugenics: A social philosophy advocating the improvement of human genetic traits through the promotion of higher reproduction of people with desired traits (positive eugenics), and reduced reproduction of people with less-desired or undesired traits. Appearances can be deceiving, the true test of a mans character are NOT his words and but his works. Bill Gates is a self admitted Eugenicist as is his father. His father William Gates Jr. was the head of Planned Parenthood. 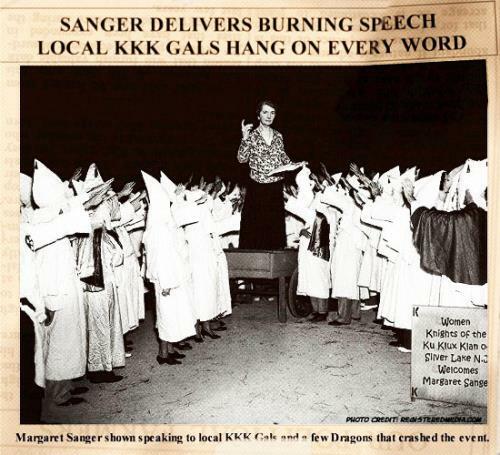 Planned Parenthood was founded by Margaret Sanger an admitted eugenicist and racist. 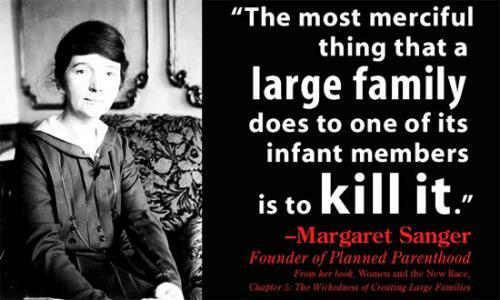 Planned Parenthood was established to reduce the amount of minorities and "undesirables" via abortion. Wait, if we do a good job on vaccines we can reduce the population by 1 Billion? Are not vaccines are supposed to save lives? Not if you spike them with poisons I suppose. 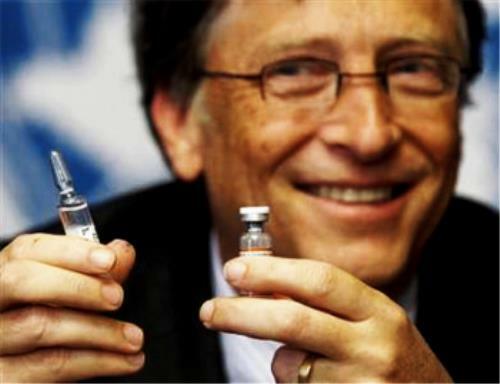 Bill Gates advocates and finances the use of vaccines to reduce population, he's just another cog in the NWO depopulation agenda wheel. He presented a speech on global warming, stating that CO2 emissions must be reduced to zero by 2050. Gates said every person on the planet puts out an average of about five tons of CO2 per year. He even has a nice algebraic formula: CO2 (total population emitted CO2 per year) = P (people) x S (services per person) x E (average energy per service) x C (average CO2 emitted per unit of energy). “Somehow we have to make changes that will bring that down to zero,” he said. “It’s been constantly going up. It’s only various economic changes that have even flattened it at all. So we have to go from rapidly rising to falling, and falling all the way to zero.” says Gates. In Sierra Leone and other western African countries residents are attacking Ebola workers as they suspect they are the cause of the outbreak. They suspect that the Bill and Melinda Gates Foundation and George Soros's Open Society Foundation are the culprits. They financed the Kenema Bioweapons Lab in Sierra Leone which is the epicenter of the outbreak. There is widespread mistrust and hatred of foreigners as Africans suspect they are being subjects of genocide as in the AIDS epidemic there. This would however be in parallel with Gates depopulation motives so they may have a point. We must realize Bill Gates is not some bum on the street with a bull horn or some racist in a secluded cabin in rural America. He is a very wealthy individual with the means to make his twisted and evil philosophies a reality at the expense of BILLIONS of lives.